Another Liebster award, and from the wonderful Megan at Inside the Invisible World. I can’t thank her enough for nominating me. I’ve been having trouble blogging lately, due to time constraints and other life needs, but to know that I am a “favorite” or “beloved” blog by another is motivation to keep going and keep writing. What a great way to say thank you, and also get to know other bloggers. Because at the end of the day, we are all people with keyboards/phones/iPads/devices and typing/writing away. Unless you’re a robot. That would be interesting, but… also scary. (1) Post the award on your blog. (2) Thank the blogger who presented this award and link back to their blog. (3) Nominate 5-11 bloggers who you feel deserve this award and who have less than or equal to 3,000 followers. (4) Answer 11 questions posted by the nominator and ask your nominees 11 questions. (5) The person who nominated me posted 11 facts about herself, but this step is optional. I’m not going to do it, because I think my answers to the questions will reveal more about me than random facts. 1. If you could be any author (dead or alive) who would it be? This is going to sound weird, since I’m a woman, but I wish I was Oscar Wilde. I recently re-read The Picture of Dorian Gray for one of my English classes, and it’s even better than the first time I read it. 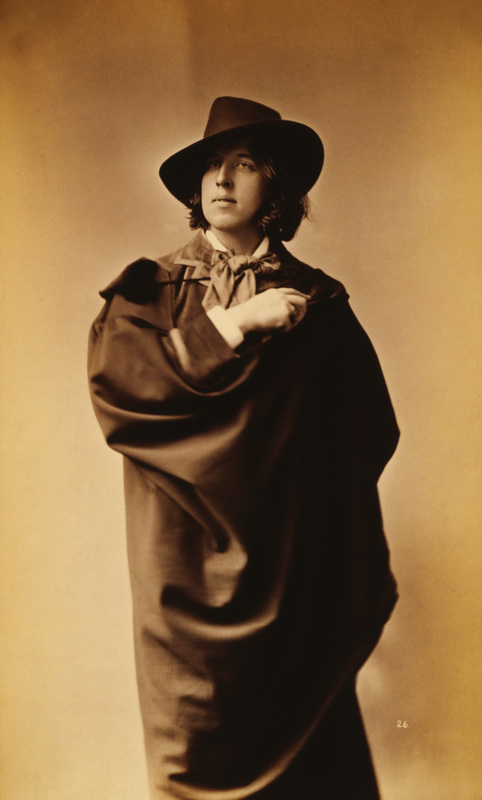 Oscar Wilde is primarily a playwright, though, and I’ve read The Importance of Being Earnest, at the very least. But I seriously need to read more of his works. I wish I was as witty, fashionable, and fabulous of an author as he was. I’m incredibly envious. And yes, some people out there will think he’s a jerk and needlessly provocative, but we all have our flaws. I admire him anyway. I mean, just look at this gorgeous photo of him, wearing a hat and wrapped up in his fabulous cloak. How can you not? The man was amazing, and he knew it every moment he lived. Sometimes, I wish I had that level of confidence, though I wouldn’t want to ruin any friendships or create enemies (even though whatever I do creates enemies). My older sister kept a WordPress blog, and it looked cool. In high school, I got the idea somewhere that all writers had some kind of blog to promote their writing, and that I should get one. It started out as a kind of diary, then it had a second revival that was geared toward writing and a specific purpose. That’s the most basic story I can offer of what inspired me to start blogging: peer pressure lol. 3. When you’re not blogging, what fills your time (fun or not)? 4. If you were famous, what would you want to be known for (e.g., musician, actor, author)? 5. Do you prefer standalone books or book series? I don’t really have a preference, yet that isn’t really true either. I don’t like it when book series have cliffhangers that make you buy the other book. I think that when authors do that, they sacrifice the story for the sake money. I get it. Writing is a tough profession to pay the bills with, but I think that even in series, each book should be able to stand on its own. So in that sense, I suppose prefer standalone books, whether or not they happen to be a part of a series. But when it comes to choosing what books I want to read, I don’t mind if it’s a series or a standalone. So long as it’s a good story, I’m down for anything. 6. What’s the longest book series you’ve ever read? 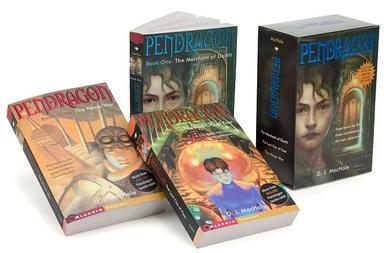 The Pendragon series by D. J. MacHale. Ten books that defined my pre-teen existence. 7. Do you like writing in complete silence or with music? If you listen to music, what kind? I can write in silence or with music, though most of the time, it’s music. I love listening to video game soundtracks, instrumental music, and classical music most of the time. Though there was this one time where I was writing a scene that might end up in my novel, and I was listening to a brilliant Michael Jackson Chrono Trigger mash up. Yeah. My taste is different. If it’s an essay I’m writing, I’ve got a playlist of heart-pounding drum-and-bass or fast-paced video game music. If I’m writing something that requires thought, such as this blog post, you might here some Egyptian meditation music to center me. If I need some extra cheer and motivation, maybe some Space Jam mash-ups. 8. If you could invite any character from a book to your house, who would it be? My first thought was Artemis Fowl, from Eoin Colfer’s Artemis Fowl series, but then I remembered that Artemis is a child genius that would dominate all conversation, which is no fun. Then I thought Dorian Gray, but he sells his soul for eternal beauty. I guess the only one that wouldn’t cause a ruckus is Jade from Cupcakes and Other Deadly Magic. We could make cupcakes together, and be awesome. However, if we’re talking when I was ten years old, that’s a hard one. I definitely loved Artemis Fowl and the Eternity Code. I remember when my friend and I would read passages to each other, taking on the roles of different characters. 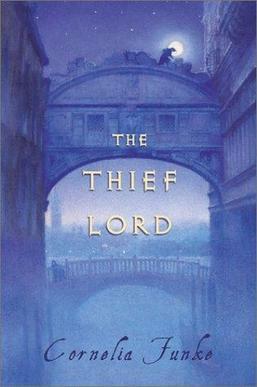 I also enjoyed The Thief Lord by Cornelia Funke immensely, and it was one of the first purchases I made at the Los Angeles Festival of Books. I seriously need to read more Cornelia Funke. I have no excuses now. 10. What is your favorite genre to read and why? Fantasy and science-fiction. Why stop at realistic fiction that mimics the world? I say be daring. Bring out the monsters. Bring on the magic. Bring on the aliens. Bring on the human interest. 11. If you could step into any fictional world, which one would it be (e.g., Narnia, Middle Earth, Hogwarts)? Can I step into all of them? Nah… I’ll be fair. I’ll choose one. This is Essos, the land east of Westeros, and one of the continents in which the TV series, Game of Thrones, based on George R. R. Martin’s A Song of Ice and Fire series, takes place. It’s the place where all the magic happens. And yes, the world of George R. R. Martin in his Song of Ice and Fire series is harsh. But it’s unlike any fantasy world I’ve ever encountered so far. It’d deadly and fascinating. The journey there and the life led would certainly not be a boring one. 2. What Does the Fox Say? 1. Who is an author you dislike? 2. What is a genre you want to read, but haven’t tried out yet? 3. Do you speak a foreign language? 4. What was the latest book you read in recent memory? 5. Do you have a pet? Why or why not? 6. What is the greatest piece of writing advice you’ve ever received? 7. Where would you like to travel and why? Or, if you don’t like to travel, why? 9. Who do you consider your inspiration for writing/life/anything? 11. What is you favorite word?